Celebrate World Down Syndrome Day (https://worlddownsyndromeday.org/) with us in Bern Saturday morning the 17th March 2018 (exact location and time will be updated very soon) and sing your hearts out. 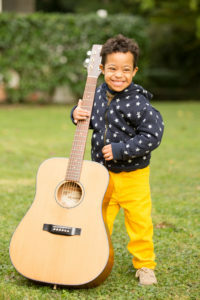 Written by Eoghan O’Sullivan (http://www.eoghanosullivan.com/ma-premiere-chanson-en-francais/), Moi Aussi The Song reflects our objective as an organisation to raise awareness, understanding and inclusion of people Down syndrome in our society. Learn the lyrics and sing with us. Moi Aussi, founded in February 2017, is focused on raising awareness of Down Syndrome, with the objective of building acceptance and inclusion in the general population. With the endorsement of ART 21 (Association Romande Trisomie 21), the official Swiss Romande organization that supports individuals with Down Syndrome and their families, Moi Aussi will be launching a public photo exhibition at Place de la Louve, Lausanne on the 19th of March, finishing on the 28th of April. The exhibition comprises 21 photographs of 21 people with Down Syndrome, all living in Switzerland, ranging in age from 6 months to 31 years of age. The photographs illustrate how people with Down Syndrome enjoy their lives in much the same way as the rest of us do. The inspiration of the exhibition comes from Ireland where a similar exhibition called “Here I am” was launched in 2015. The exhibition and subsequent book did much to raise awareness, discussion and understanding in Ireland and it is hoped a similar result can be achieved in Lausanne and in Switzerland more broadly. When the exhibition leaves Lausanne, it will tour multiple locations around Switzerland, lasting approximately one year. Moi Aussi was founded by Laura Mulcahy, who is originally from Ireland and has lived in Lausanne since 2005. Moi Aussi will be funded by donations from corporations and the public. A public photo exhibition celebrating the everyday lives of 21 people with Down Sydrome.